I’m an AfriPOP! Socialite! I was interviewed by the magazine. Head over to read the piece. Congratulations–that was a great interview! I missed this Kinna … a bad month … but really nice to see you strutting your stuff. Thank you. And don;t worry about missing it; I’ve been absent and thus missing out on a lot of bookish and blog news. And thank you Kinna … Glad you understand. Thanks for sharing the interview. I loved learning more about you and what you do. 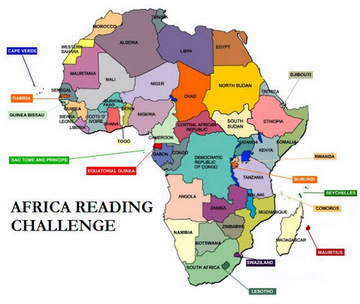 Our Africa reading challenge has really opened my eyes about Africa. Thanks for that too. great post & interview & glad you’re spreading the word. Wow! Literary Socialite. Go KInna! !